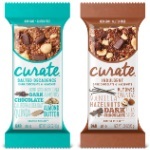 FREE Curate™ Single Bar Receive ONE (1) FREE Curate™ Single Bar, any variety (1.59 oz). Available in Most Stores. Every Friday, you can download a new digital coupon for a FREE item! This offer is available exclusively to Customers with a Ralphs.com account.